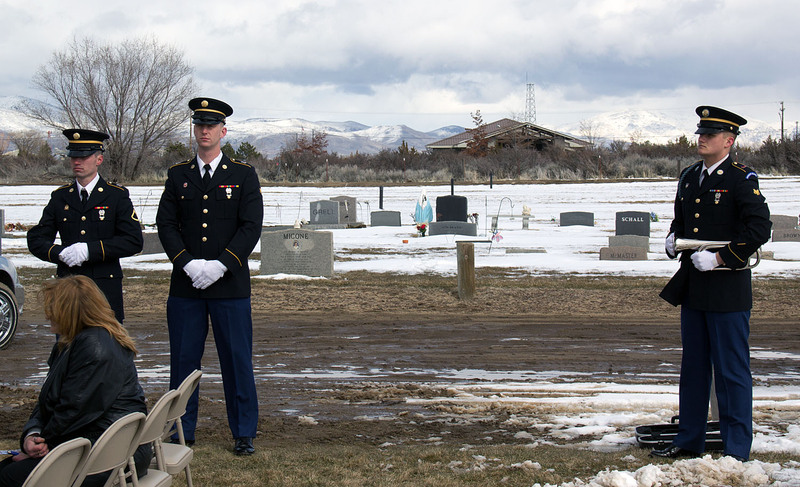 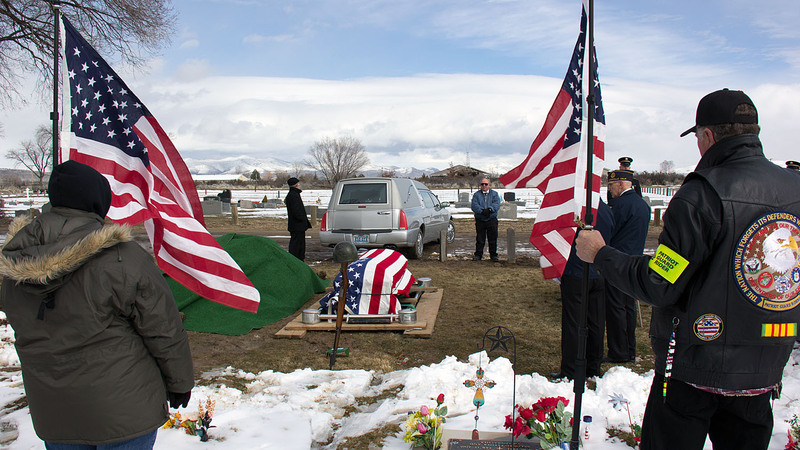 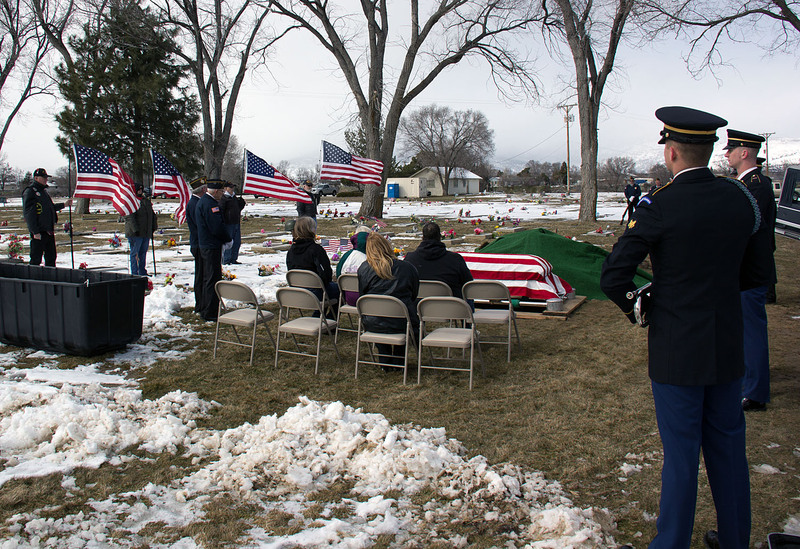 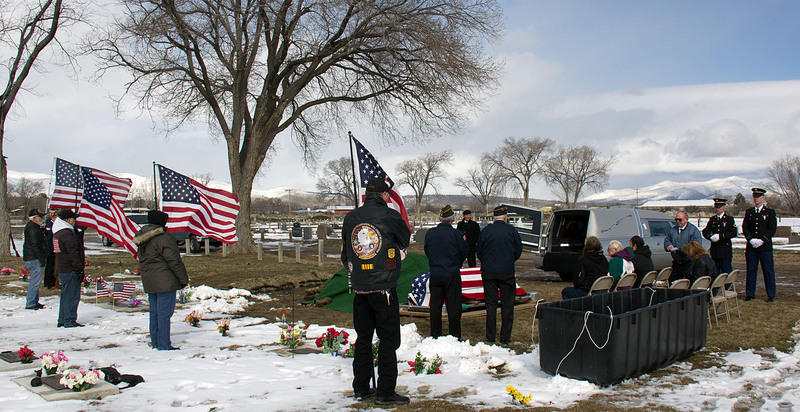 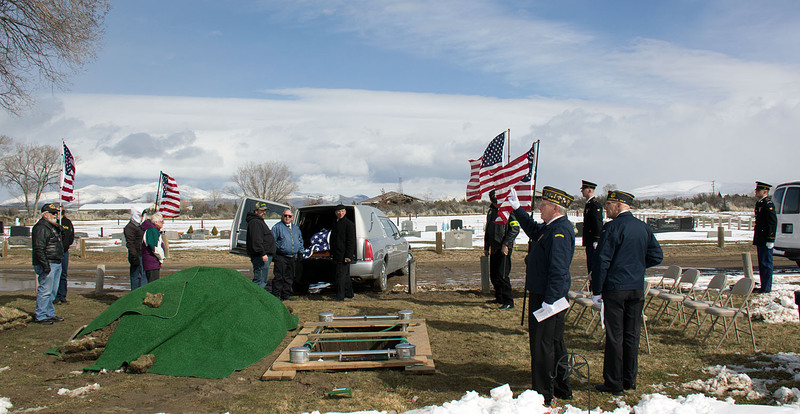 The Patriot Guard riders participated in Military Honors for US Army Veteran E3 George Wadsworth at the Diamond Crest Cemetery in Susanville, CA. 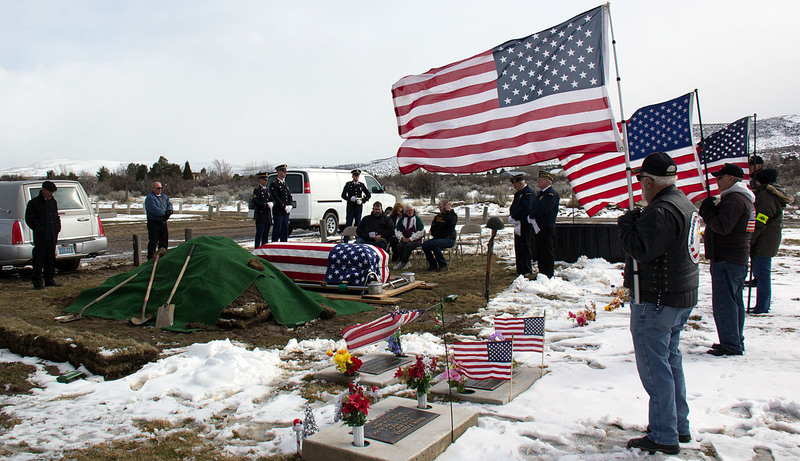 It was an Honor for PGR to be able to attend and show our respect for this Veteran, his family and friends. 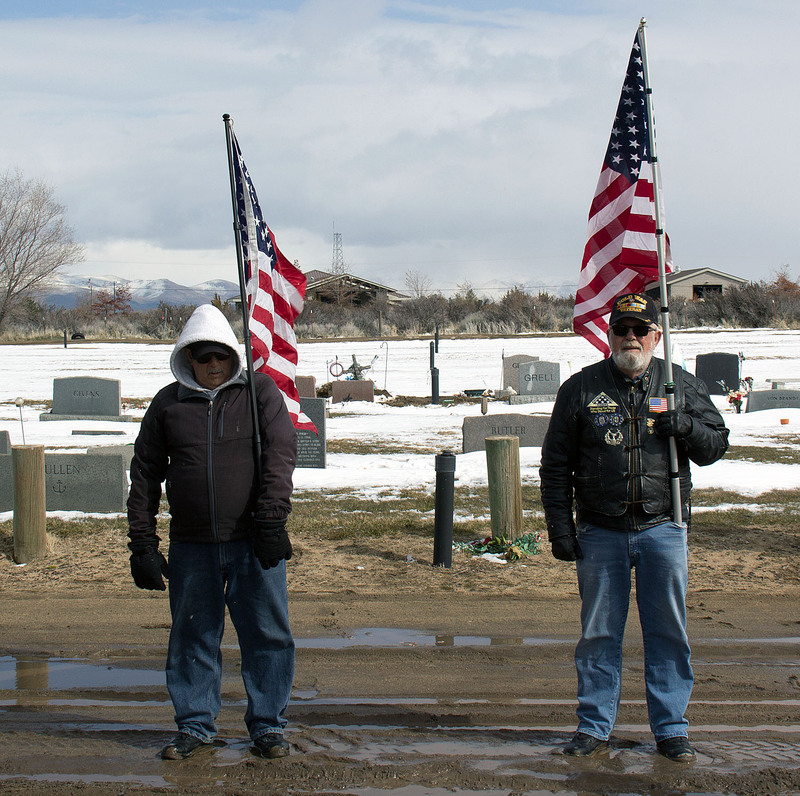 It was a very cold 35 degrees with partly cloudy skies and winds from 5 to 20mph. 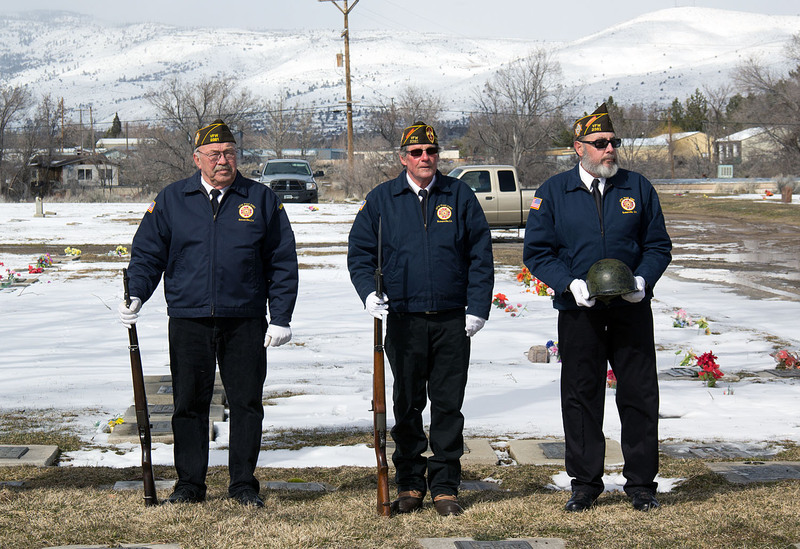 I would like to thank the 5 PGR members, 2 from Alturas, 1 from Reno and 2 from Susanville area, braved the cold and stood fast showing honor and respect for our fallen Veteran and his family. 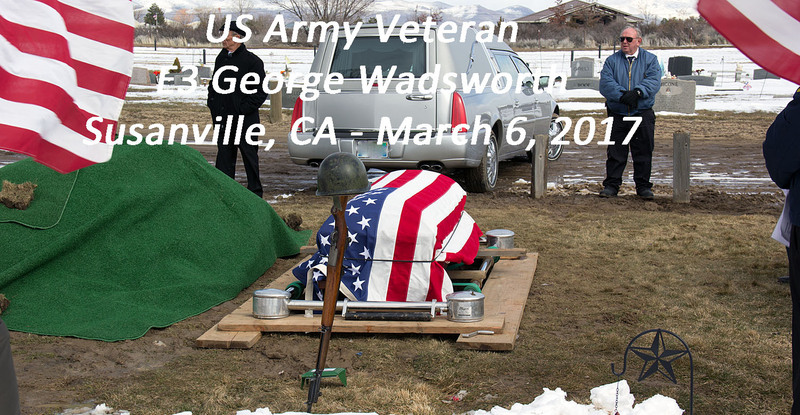 Rest in Peace Sir... 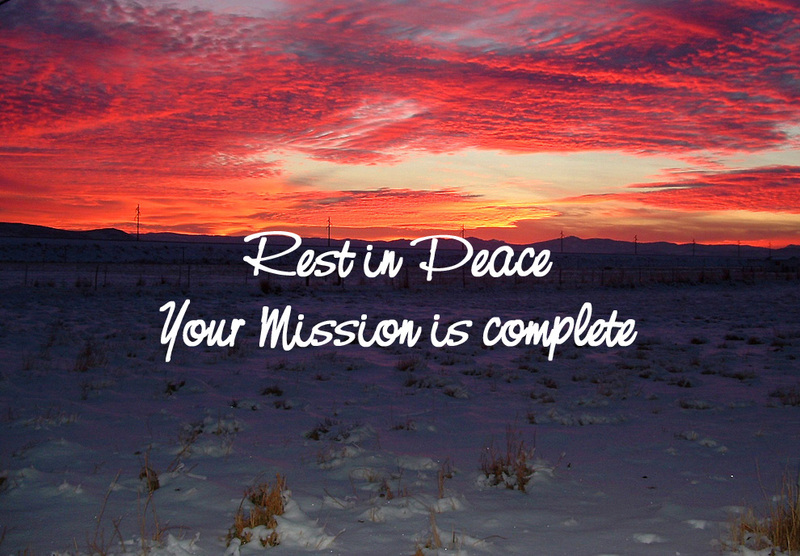 Your Mission is complete..